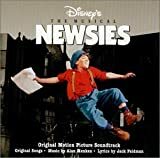 Accueil Bande originale Paroles Chansons Seize the Day – Paroles de la chanson dans “Newsies”. Seize the Day – Paroles de la chanson dans “Newsies”. No one can make us. Now is the time to seize the day. Send out the call and join the fray. Friends of the friendless, seize the day.